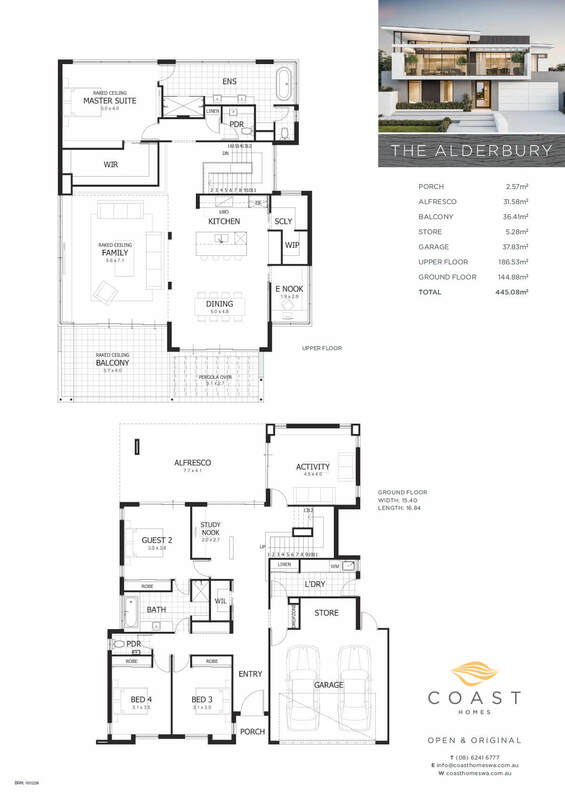 With clean lines, expansive windows and a floating roofline, The Alderbury combines the elements of modern style for a truly striking elevation. This determination to stand out continues inside the home, which has been designed for ‘upside down’ living. 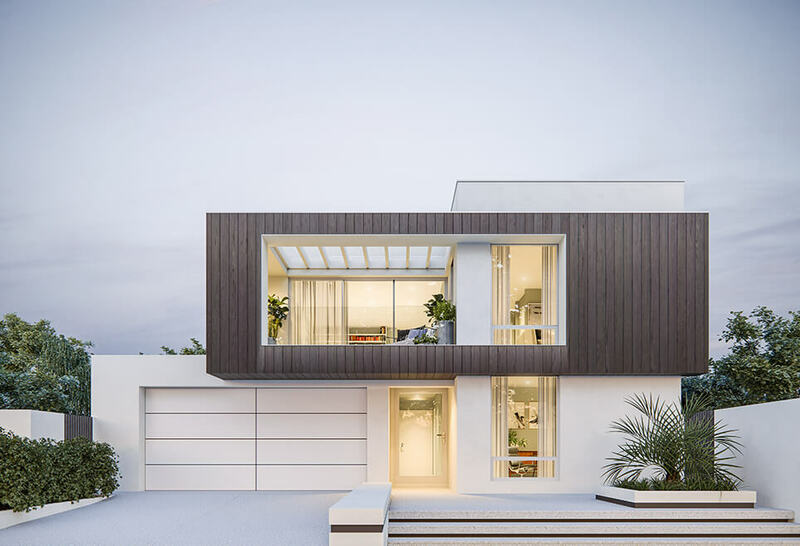 In a twist on the traditional, the upper floor houses the kitchen, dining and living spaces, all of which open onto the spacious balcony, making this home perfect for those looking to maximise a river, city or ocean view. The luxurious master suite is yet another standout feature. Featuring a huge ensuite complete with freestanding bath and double showers, this sanctuary wouldn’t feel out of place in a luxury hotel. Downstairs the layout has been carefully planned to accommodate the rest of the family, with three double bedrooms, a study nook, activity space and plenty of storage. Get in contact today to make this home your own.